If you follow my blog, you probably know that my two co-bloggers are named Sue from New York and Sue from Pennsylvania. AKA Sue and Sue. I also have a good friend with Type 1 diabetes in Arizona and her name is “Susan.” Do you see a pattern here? When you are named “Sue”, you can choose to have a certain amount of anonymity on the Web. You can be “Sue from Here” or “Sue from There” and no one will have a clue as to your real identity. Sue or Susan might label you as a Baby Boomer, but it doesn’t allow readers to pick you out of a line-up with any certainty. On the other hand, when your name is “Laddie”, it is pretty much a waste of time to try to aim for privacy. Only once or twice in my life have I ever heard of another woman with my name and it’s always been the friend of a friend or the child of a friend of an acquaintance. When I worked at a retail job, I rarely made it through a day without at least one customer asking about my name. So I’m out there. If you know my name, you know who I am. I come from a family with an assortment of “family names” and sometimes that can be a burden. Especially when all of the other girls are named Mary, Linda, Patty or Sue. I gave my children very common names and they have the advantage/problem of being ubiquitous. But back to the point of the story. Earlier this week I had a pump-sighting in the wild. I ran into a new member at the golf course and she was sporting a purple (yes, she’s the flashy type!) Medtronic insulin pump. She is a bit older and just a “diabetes rookie” with only 30 years under her belt as opposed to my 37 years. Equally excited to meet each other, we compared stories and promised to get together soon to learn more about each other. She knows nothing of the DOC (diabetes online community) and I promised to introduce her to a whole new world that lives inside her computer. And I indicated that I would get her hooked up with some of the local Type 1 meet-ups and support groups. I probably don’t need to say it, but her name is….Sue. Today is the 9th day of my 3-week gluten-free (GF) trial. Last Monday’s post outlined my reasons for this experiment and discussed my doubt that this diet will make any difference in my health status. Has it been hard to do? : So far the diet has been easy to follow. Because I have been eating low-carb for quite a while, bread has had a small role in my life: just an occasional piece of peanut butter toast. Cereal has been completely banned except for an infrequent handful of Honey Nut Cheerios for a needed junk food fix. I haven’t bought crackers in months except for six-packs of Ritz peanut butter crackers. Ice cream is our usual household fix for sweet and chocolate. The food plan that I’ve followed in the last 9 days has been a non-cheating version of my normal diet. I believe that if I’m going to bother giving GF a try, then I must stay completely GF for the 21 days. A trial with cheating or even one cracker becomes invalid and means that I’ve wasted my time. Any goofs? : The closest that I have come to eating a wheat product came when I was fixing lunch for my 1-year old granddaughter on Wednesday. As every parent/grandparent knows, it is easy to nibble when fixing meals for children. I was putting small pasta shells on her tray and twice caught myself grabbing one for a taste. What a bummer it would have been to accidentally go off the diet with mindless eating. Blood sugar effects? : There was nothing about this change in diet that noticeably affected my blood sugar. I had many good days and a few mornings with unexpected highs. As always, the problems were related to activity levels more than diet. I walk the dog for 45-60 minutes almost every morning. This moderate but sustained activity works miracles in preventing post-breakfast spikes. One would think that the hour and a half I spent bailing water out of the sump on Thursday morning (the pump couldn’t keep up with our massive rainfall) would have had kept my blood sugar in range. But my reward was a dry basement accompanied by highs approaching 200. On Friday morning the grandchildren were with me and made a long walk impossible. I increased my insulin but obviously not enough to tame my BG. Nighttime blood glucose levels were much better than normal all week because of minimal snacking after dinner. Do I feel different? : After 9 days I feel the same and there has been no change in my granuloma annulare. It would be naive to expect anything different. I didn’t do this trial because of digestive problems or feelings of illness or fatigue and those are the things that sometimes see immediate improvement. Granuloma annulare tends to be a constantly morphing condition with no rhyme nor reason. If diet were to have an impact, I would expect it to be a change that would be many months in the making. Even then it would be difficult to prove that diet was responsible for any improvement. Any special foods? : The only special GF product that I purchased is a loaf of bread from Trader Joe’s. Right out of the package it is totally rude. Toasted with peanut butter it is okay. One piece of bread is approximately the same carb count as my usual bread, but it is half the size (very small). Although I understand the arguments for avoiding wheat, I look at the list of ingredients in this Rye-less “Rye” and am askance at the leading ingredients of water, tapioca flour, white rice flour, and rice starch. IMO these are neither nutritious nor blood sugar-friendly foods. What now? : I am committed to finishing my gluten-free experiment. Because it is not a substantial change to my diet, I believe that the only way this diet can help me is if I have a wheat sensitivity. I don’t think that I do. Because I am eating a lot of fruit and vegetables and not a lot of processed food, this should be great for my diabetes and maybe help me lose a pound or two. Summary: Unlike people who hope to see improvements in their health from a gluten-free lifestyle, I don’t want to deal with this diet for the rest of my life. I’m actually keeping my fingers crossed that I see no benefits. But what if it does help my granuloma annulare? Less unsightly skin versus pizza? Interesting choice. I guess I would have to learn to make cauliflower crust pizza. Then I would have to look in the mirror and seriously weigh the benefits of a life without pizza at Costco. I’ve got a secret list. A list that I won’t share even if I knock on wood with Woody Woodpecker-like fervor. A list that the mere mention of the Top Ten (or is it the Bottom Ten?) would jinx me for sure. If you’ve got diabetes, you probably have a list like this. It’s the list of diabetes complications that you don’t want to get. It’s a list with negotiated rankings. I could deal with this as long as that doesn’t happen to me. I know that this might be inevitable, but I’ll be okay as long as I don’t have to live with that. I know I’m brave, but please, please, please never test my courage with <fill in the blank>. Some of the complications on this list are life-threatening. Other things are merely cosmetic or at worst a minor irritation. Some line items are thought to be the result of too many high blood sugars (let’s add a boatload of guilt here!) while others are related to autoimmunity, duration of diabetes, and age. Some of these complications share the clubhouse with diabetes and doctors aren’t sure why. My list is always changing because things that I have never heard of keep jumping into my medical chart. My most frustrating health issue right now is a skin problem called disseminated granuloma annulare (GA). It doesn’t hurt; it doesn’t itch; it is ugly, ugly, ugly. The most common form of GA is localized with a small number of clustered nodules usually on the hands, feet, knees or elbows. These clusters often disappear in a year or two with no treatment. Disseminated (or generalized) annulare granuloma is an out-of-control inflammatory condition that can tattoo your whole body with a variety of nodules, red patches, and unsightly blemishes. It can last for ten or more years. Two and a half years ago I had a bunch of bumps on my elbows. Thinking that they might be the beginning of psoriasis, my rheumatologist recommended a dermatology consult. My dermatologist indicated that the bumps were not psoriasis (yeah!). She believed that they were granuloma annulare and took a biopsy to confirm. I had never heard of this condition and quickly consulted my online physician, Dr. Google. The pathogenesis of GA remains still obscure. Possible pathogenetic factors suggested include humoral and delayed type hypersensitivity, vascular damage, metabolic disorder, or primary collagen and/or elastin alteration mediated through an immunologic mechanism. One study indicates that diabetes is in the picture about 10-15% of the time while another study indicates that there is no statistical correlation between GA and Type 2 diabetes. A 2007 retrospective analysis at the Mayo Clinic found insulin-dependent diabetes in about 10% of the GA cases studied and thyroid disorders in 16%. These statistics at best show a weak link to diabetes, but most researchers still keep it in the equation. A 2006 article about granuloma annulare by Peggy R. Cyr, M.D. reports that there is a stronger link to diabetes in those patients who have the disseminated variant that I have. I am currently taking nicotinamide which is a water-soluble member of the B vitamin group. Nicotinamide rarely causes side effects even at high doses and my dermatologist has prescribed this treatment because of its lack of toxicity. The basis for the use of this product is a 1983 paper by Alice Ma, M.D. discussing the complete clearing of generalized granuloma annulare in one (!) patient after 24 weeks of high doses of nicotinamide. It has also been used successfully for inflammatory acne and that is probably the more likely justification for using it for GA.
Is nicotinamide helping me? Some days I think so. Other days I think not at all. Is GA affected by blood sugar levels? Not in my experience and not according to any articles that I have read. Is GA related to other health issues besides diabetes? Granuloma annulare has been linked to autoimmune thyroid disease, some types of cancer, and HIV infection in addition to diabetes. Is GA autoimmune? No, it’s inflammatory, but inflammation and autoimmunity go hand-in-hand when you have clusters of autoimmune/inflammatory conditions as I do. One thing that I find interesting is that when I write about my medical issues, I usually link them to Type 1 diabetes. Granuloma annulare actually seems to have a stronger correlation with thyroid disease but typically I have glossed over that. I suppose I do that because I have never been symptomatic for hypothyroidism and the little pill I take every morning is an inconsequential part of my life. On the other hand, diabetes always demands attention and is woven into almost every minute of every day. An important issue is what granuloma annulare is doing to my psyche. One good thing is that GA rarely shows up on the face. Therefore I can live the rest of my life in turtlenecks and long pants. A great solution for cool weather but not so great for summertime…. The hardest part is that I can follow my doctor’s orders and still have no control over the unsightly lesions. When you have Type 1 diabetes, you get used to the idea that WHAT I DO MAKES A DIFFERENCE in my health. GA abuses that notion daily. I have to admit that I am getting used to dealing with it and I try to remind myself that it’s not itchy, painful, or life-threatening. Growing older with a cascading series of autoimmune/inflammatory issues requires an acceptance of today without worrying about tomorrow. My secret list of diabetes complications will always be in my back pocket, but being afraid of it accomplishes nothing. Granuloma annulare is a frustrating skin condition and I hope that it eventually goes away. But there is no reason to let it ruin today or tomorrow. It is what it is and nothing more. But I have a bunch of autoimmune/inflammatory issues that anecdotal stories report improvement when switching to a gluten-free diet. I don’t have celiac or at least it’s highly unlikely that I have celiac. I don’t have any of the digestive issues that often go along with celiac. I’ve had the blood tests and all were negative. I feel perfectly fine regardless of what I eat except when I am plagued with guilt at some of my poor food choices. At my last endocrinology appointment I asked my doctor whether she thought a gluten-free diet might help me as I struggle with clusters of autoimmune issues, most recently a skin problem called disseminated granuloma annulare. I expected her to say “no.” She didn’t. I indicated that I didn’t know if I had the discipline to follow a gluten-free diet. She asked me whether it was worth getting rid of the dermatological problem to change my diet. I couldn’t argue with her. She indicated that there is no scientific evidence to support a GF lifestyle for people like me, but she has patients who feel that it has made a significant difference. Yesterday I began a 3-week trial of eating gluten-free. I have been working hard in the last two years to eat lower carb, so a gluten-free diet is not a huge change. In fact since there is no gray area with gluten-free, it may help me avoid the post-dinner “eat a lot of crap.” One pack of Ritz peanut butter crackers will nullify my trial and I don’t want to do that. I don’t plan to buy many products that imitate real food but with no gluten. Meaning I plan to go without bread rather than buy breadly concoctions that purport to be bread. Actually I may need to buy some GF bread because I don’t think that I can live without my natural peanut butter. One of my favorite people in the Diabetes Online Community is Katy from Bigfoot Child Have Diabetes. Her son was diagnosed with celiac disease last year and I have marveled at the changes she has made in her kitchen and cooking. My GF experiment would be truly epic if I could move in with Katy for three weeks and eat her tantalizing chocolate chip cookies for breakfast, lunch, and dinner…. Jewels from SheSugar runs a gluten-free household, but admits that she doesn’t suffer with a bit of cross-contamination while her daughter with celiac suffers greatly. I have decided to do my best to eat GF without worrying about cross-contamination. I’m not from Boulder. That is an inside joke. Boulder, Colorado is a trendy community. No matter what the latest fad for eating or living is, you’ll find Boulder residents leading the way. The husband of one of my Arizona friends (they’re officially from Boulder) has had measurable success eating gluten-free. My friend indicated that it was easy to avoid gluten in Boulder because half the population is gluten-free and almost every store has a huge assortment of GF products. I made it through one day. I am keeping a log of my eating with carb counts and insulin bolus amounts. Every food so far has a check in the Gluten Free column. My endocrinologist indicates that a 3-week trial is sufficient. If I had digestive issues or “not feeling good” issues, I would agree with her. With my skin issues, I don’t know whether 3 weeks is enough. But I’ll deal with that 3 weeks from now. In Thursday’s blogpost I discussed how I had considered postponing my endocrinologist appointment because I didn’t like what it might reveal. I went to the appointment as scheduled and except for my interaction with one of the nurses, it was uneventful. My doctor is part of a large endocrinology group and I have never received anything other than knowledgeable and professional care from her, the nurses, and the support staff. Thursday was an exception, but in a more humorous than problematic way. I had never met the nurse who called me back, but I assumed that she was a regular in the practice. The first question she asked was “Are you taking your Lantus?” No, because I don’t take Lantus. I use an insulin pump. “Are you taking insulin with your meals?” Of course I am because I have Type 1 and rarely eat without taking insulin. “How is it going with your Novolin?” Rather than explain that Novolin refers to NPH, Regular, and various mixed insulins produced by Novo Nordisk, I explained that I had never been asked these questions before and suggested that maybe they didn’t make sense. “Did you bring your meter today?” Yes, but I downloaded everything to Diasend and you can print out the reports for my doctor. “That’s good and I’ll do that. Did you bring your pump with you today?” Silence. Later in the appointment I learned that this nurse is one in a series of temps replacing the usual nurse who is on maternity leave. Her ignorance wasn’t particularly annoying; it was just odd. She couldn’t have been nicer and was doing her best to follow whatever instructions she had been given for updating my chart. After taking my blood pressure, she said that she’d leave everything else for the doctor and quickly escaped to print Diasend reports. For my visit her lack of knowledge was inconsequential, but it was a reminder of how little some medical professionals know about diabetes. And now (drumroll please) my doctor appeared. Her first question, as always, was “How are you?” That can be an ultra-trite question, but I think she asks it to give me the opportunity to set the direction of the appointment which is never long enough to cover everything. I believe that she would be open to discussing anything whether it be BG numbers, thyroid issues, or mental health. My concern of the day was my multiple autoimmune/inflammatory issues and wondering if she had any opinions on whether a change in diet (particularly gluten-free) might be beneficial. She indicated that there is no strong scientific evidence to indicate that a gluten-free diet would make a difference in my health, but anecdotally she has patients who feel that it has made a difference. She suggested I give it a 3-week trial. Now is not the best time for a gluten-free trial. I am dealing with a frustrating skin condition called granuloma annulare (a topic that warrants its own blogpost). Because I have the disseminated form of GA, I have abandoned topical products and am in the early stages of trying to find a drug that will slow down or eliminate the autoimmune/inflammatory condition. I see my dermatologist this week and expect that I will be moving to a new class of drugs. It doesn’t make sense to change my diet at the same time that I change medications because I won’t know if any improvement is from the new drug or the elimination of gluten. So a gluten-free experiment will have to be put off for a while. My opinions about going gluten-free are also worthy of a dedicated blogpost and I’ll save those thoughts for another day. Back to my endo appointment. I have been frustrated by overnight highs that occur between midnight and 2:00AM. My endo ignored those and was more concerned with the lows that precede those highs. I guess that I was aware of the lows but didn’t see the cluster of them the way that she did with her usual expertise at seeing patterns in CGM tracings. Sometimes I think that I’m too deep in the trees to see the forest. In my opinion, both the lows and highs are caused by the same thing: too much after-dinner eating that is not matching up well with my insulin. She’d like to see me reduce my basal and bolus rates through the evening. I’d like to see a reduction in post-dinner snacking which is really the cause of both the highs and lows. I am working on the problem and already seeing some improvement. I didn’t get any comments on my weight gain (!) so it’s back to me to deal with it or not deal with it. At the very least I don’t want to gain more weight. My guess is that if I take care of the blood sugar problems from evening snacks, the weight will take care of itself. Imagine that. Everything is related to everything else. In summary I survived the appointment. My thyroid tests were in range and my A1c was much better than expected. I only see my endocrinologist twice a year so the countdown to December has started. 20 minutes with her. 262,780 minutes with me running the show. I have an appointment with my endocrinologist this afternoon. Last week I wrote myself a note to call and postpone this appointment. I’ve gained about 5 pounds in the last year. I’m thin and that is not the end of the world, but for me this is a big gain. I am now over a threshold number that I haven’t seen in ten or twelve years. My endo is pretty observant and I suspect she is going to notice the pounds. I keep reading research reports that indicate that people who are thin and people who are obese have the worst life expectancy numbers. So I can argue that it is good for me to have gained weight and maybe it is. Or maybe not. Or maybe it doesn’t matter at all. None of that changes the fact that I have gained weight that I am having a hard time losing. My Dexcom graphs are ugly. I have a 10-year run of A1c’s that I privately take great pride in. But it is rare that I have a blood draw that I don’t think that this is the A1c that will end my streak. We read about hypoglycemia unawareness and hyperglycemia unawareness. Even with Dexcom Studio and Diasend (and previously Carelink), I definitely have A1c unawareness. I don’t have a clue what my report card will reveal. I do know that if I postpone this endo appointment, I can definitely have better results in a week month year. I have had great success in the last couple of years by reducing the number of carbs that I eat. I strongly believe that diabetes, whether Type 1 or Type 2 is a disease of carb intolerance. I’ve read books like Why We Get Fat by Gary Taubes, Wheat Belly by William Davis, and The Diabetes Solution by Richard Bernstein. These books make sense to me. You need to read these books. My weight gain is the result of following a low carb diet with plenty of high calorie foods such as cheese and nuts and then eating carbs In addition to that diet. My Dexcom tracings are good during the day. A glass of wine, dinner, and then cravings for nuts and SF Jello with mounds of whipped cream lead to lows at midnight followed by Himalayan spikes at 2:00AM. But I didn’t cancel the appointment. Avoiding this appointment would be little different than hiding candy bar wrappers in the garbage. Avoiding this appointment would be little different than not testing my blood sugar because I don’t want to see the result. Avoiding this appointment would be little different than refusing to step on the bathroom scale. Avoiding this appointment would be hiding and in some ways “lying by omission”. Not getting an A1c today doesn’t change the patterns of my blood sugar for the past few months. Whatever the status of my health is today isn’t going to change by not printing out my Dexcom tracings or Diasend reports. I am an adult and for better or worse, I need to be accountable for my lifestyle and decisions. Avoiding my doctor is a slap in the face to her education, experience, and value in my life. She has never belittled me or made me feel guilty. She has always supported me and made sure that I have access to the latest medical technologies and the most appropriate medications. She is my doctor in order to help me live as healthy a life as I can with Type 1 diabetes. How can she help me if I don’t go see her and tell her the truth? Maybe she will have some suggestions to level out my BG at night so that I can have an occasional CGM alarm-free night. Maybe she will say something to help me get back on the right self-care track. I am starting to have more autoimmune/inflammatory issues and maybe she will have some advice about whether I should give a gluten-free diet a try. So I am going to see my endocrinologist this afternoon and I think I’ll survive it. Last week I was rummaging through an old file cabinet and came across a folder titled Medical. I was amazed to find envelopes of medical bills from 1976 to 1982. If I had to pick the most important seven-year period of my life, these years might win the prize with such defining moments as my marriage, my diabetes diagnosis, our first house, and the births of our two sons. Browsing through this paperwork was like taking a walk back in history and discovering long-forgotten facts to back up or alter some of my fuzzy memories. First is the 1976 doctor’s bill for my diabetes diagnosis. In the blogpost sharing my diagnosis story, I mentioned only one doctor’s visit and my memory about the timing of my hospital admission was off. This bill clearly shows that I had a new patient visit on November 9 (Tuesday) and then what was probably a pre-admission physical on the 12th. Although I was thirsty and losing weight, I was not in DKA and did not enter the hospital until a week (!) after diagnosis. Prices were just a bit cheaper in 1976…. Two office visits with lab work totaled $76.50 and according to my notes in pencil, Blue Shield paid the lab fees. The total charge for my three-night hospital stay was in the ballpark of what I am now charged for an endocrinologist appointment with lab work. A 1977 bill shows that my routine diabetes check-ups cost $12 for the visit and $6 for a blood sugar test. Home self-monitoring of blood sugars was not available in 1977, so this was one of the approximately 4-6 “Sugar” tests I had per year. A insurance form filled out by the pharmacy in 1977 shows that I was reimbursed $3.91 for a two month supply of insulin. I was only on one type of insulin (Lente) in those days. I have copies of lab results going back to the mid-80’s and I have always assumed that those reflect my first A1c tests. False memory for sure because this 1978 bill clearly shows a charge for a Glycosylated HGB. Now for the fun and games! Here’s an insurance report with the charges for a 2013 routine endocrinologist appointment with lab work. Just a wee bit more than the 1977 total of $18. A 2013 Walgreen’s receipt shows 4 vials of Novolog insulin at a retail price of $719.89 ($180 per vial) along with the insurance-negotiated price of $563.15 ($140 per vial). It is not the same insulin product that I bought in 1977 for $3.91 and a better comparison might be with the Walmart brand of NPH that you can buy these days for about $25. 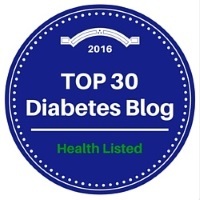 Summary: Diabetes care has come a long way since I was diagnosed in 1976. One daily shot of pork-based insulin has been replaced by an insulin pump using a genetically-modified analog insulin. Urine tests with Diastix and occasional “Sugar” tests at the doctor’s office have been superseded by home glucose meters and a continuous glucose monitor. The cost of diabetes care has gone up astronomically, but so has the quality of care. Last Thursday I played golf, walked the dog, and did yard work. My Fitbit showed that I walked over 23,000 steps for a distance of 10 miles. I am 62 years old and have had diabetes for over 37 years. If I were still using 1976 standards of care, it is doubtful that I would be in such good health these days. Who knows if I would even be alive? Yes, I wish that insulin still cost $3.91. But I am truly thankful for the medications and medical devices that allow me to get up every morning knowing that diabetes won’t stop me from living another day. Another good day.